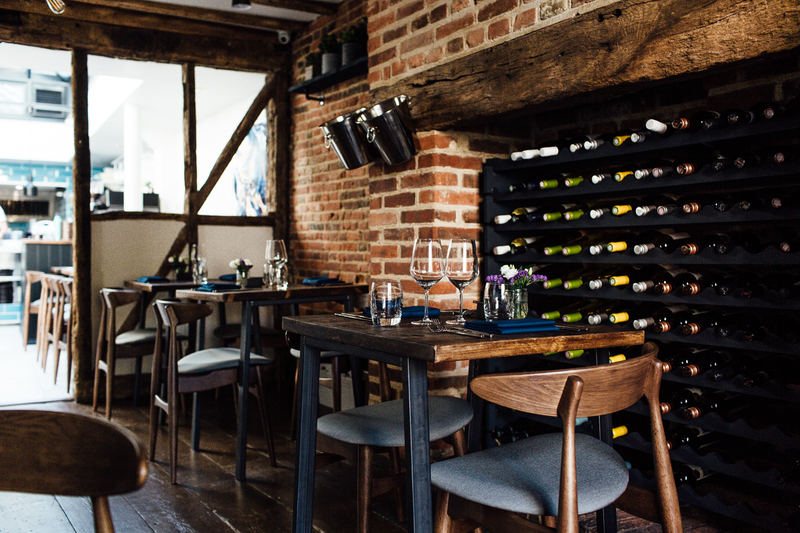 Dante’s opened in September 2018 in The King’s Head Centre, a 16th century listed former pub on Maldon High Street, Essex. Named after their young son, Charlotte and Mario founded Dante’s to bring delicious fresh fish and seafood to Maldon. At Dante’s you will find modern British cooking – thoughtful, precise and elegant food in a relaxed and informal setting. Head Chef Gabriele Nicolosi creates an ever changing seasonal menu for lunch and dinner, using the freshest fish from Billingsgate Market and local produce from artisan suppliers. We feature smoked salmon from Maldon Smokehouse Lambton and Jackson, Maldon Oysters and delicious coffee from Writtle roasters Mac & Me. Whether for a family celebration or a corporate event, our cosy wooden beamed front room is available for private hire. Contact us on info@dantesbrasserie.com or 01621 851 214 for more information.